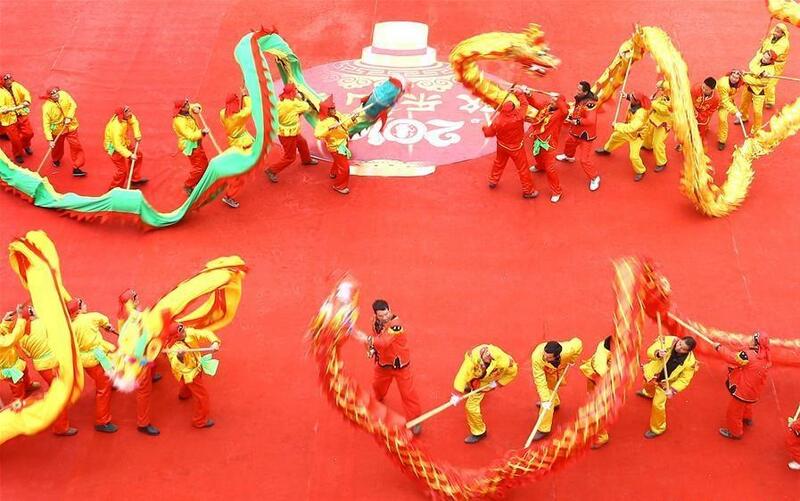 People across the nation take part in various activities to celebrate Chinese Lunar New Year. 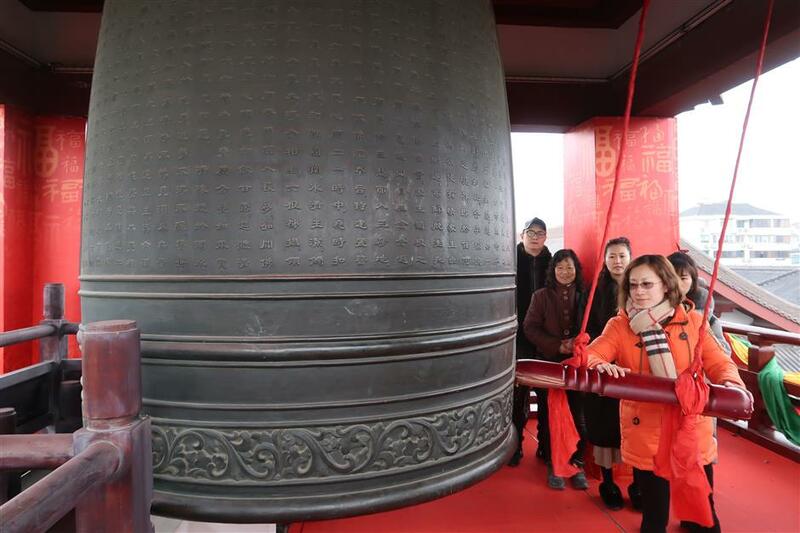 People in Shanghai's Jiading District stand in line in a local temple, awaiting to strike the bell to welcome the first day of the Year of the Dog on February 16. 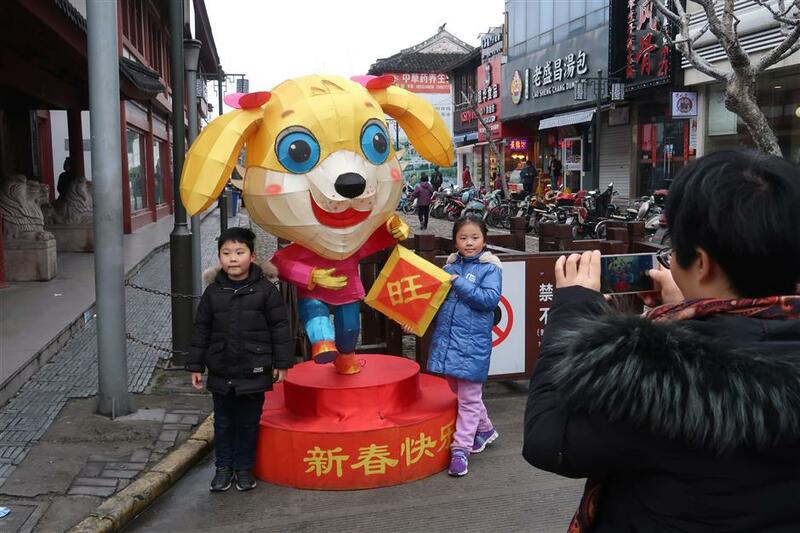 Two children pose with a dog sculpture at Nanxiang Old Street in Shanghai on February 16. 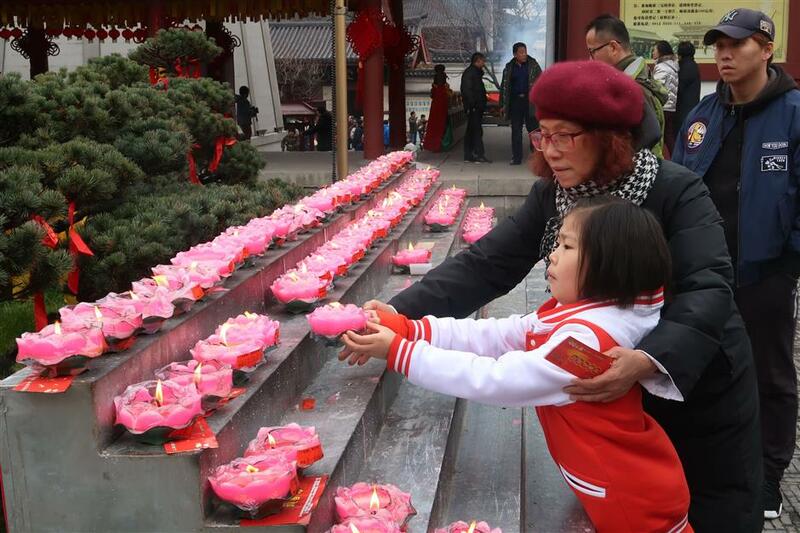 A woman helps her granddaughter offer a lotus light in a temple for a prosperous Year of the Dog in Shanghai's Jiading District on February 16. 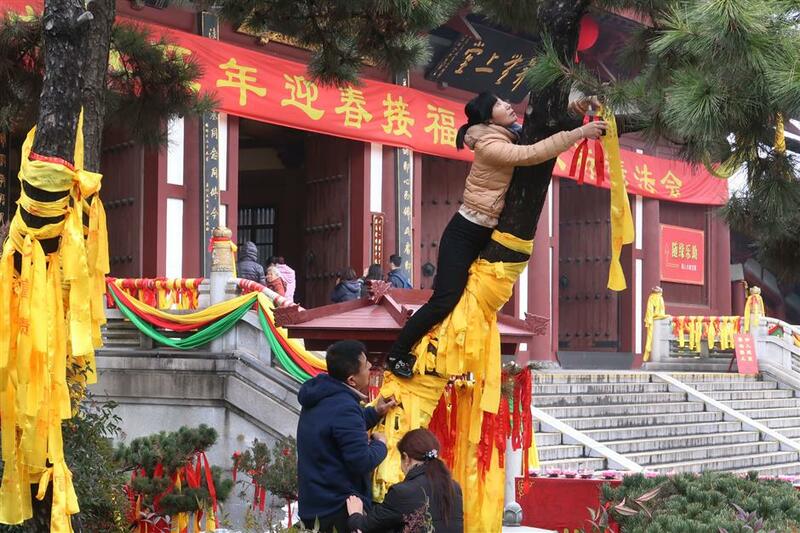 A woman hangs a yellow ribbon for good luck on a tree in a temple on the first day of Chinese Lunar New Year in Shanghai's Jiading District on February 16. 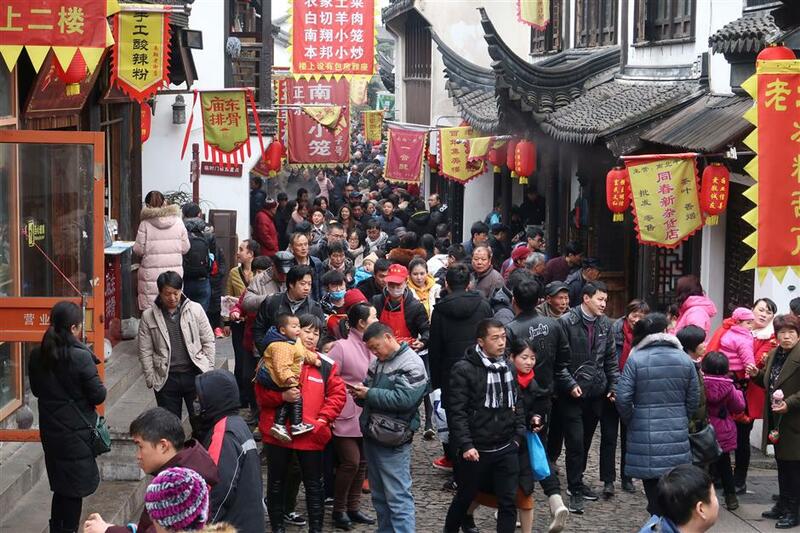 Tourists visit Nanxiang Old Street in Shanghai's Jiading District on February 16. 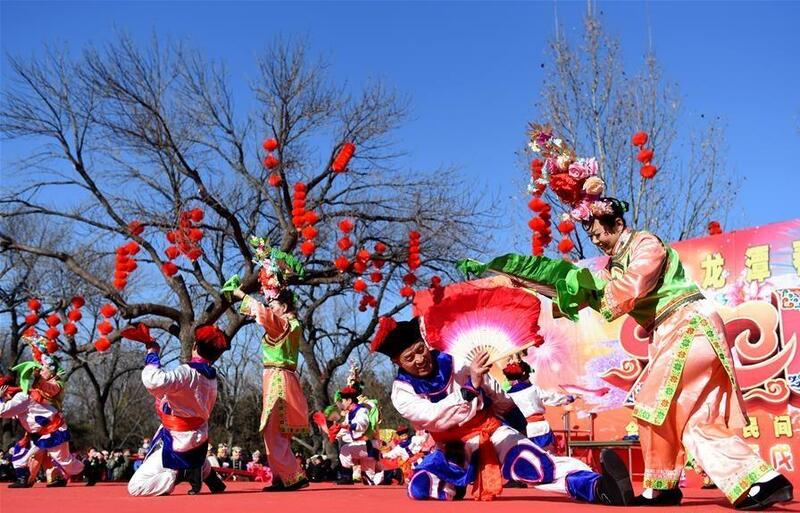 Performers perform during a temple fair in Beijing on February 16. 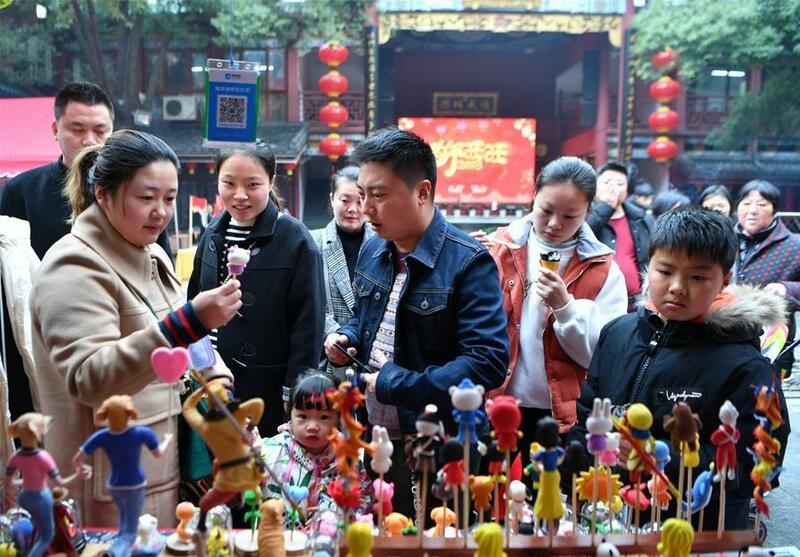 Tourists choose clay figurines during a temple fair in Changsha, Hunan Province, on February 16. 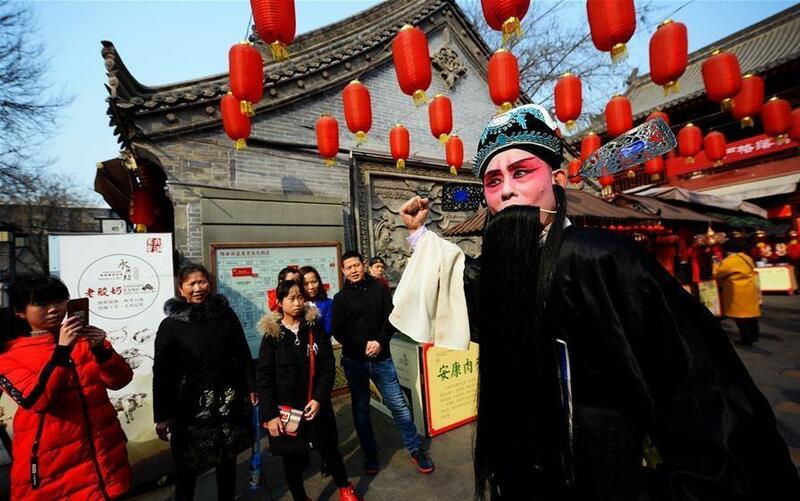 Shaanxi Opera actor Ma Hong performs in Xi'an, Shaanxi Province, on February 16. 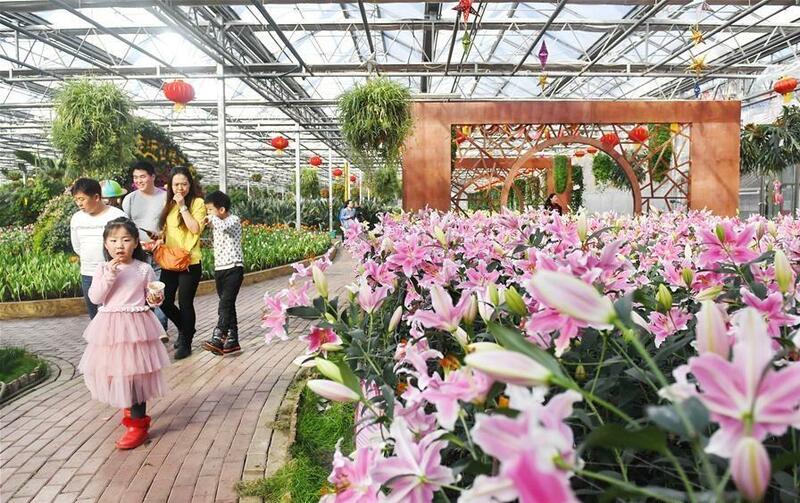 People visit the 9th winter agriculture expo in Changchun, Jilin Province, on February 16. Folk artists perform dragon dance in Xuyi County, Jiangsu Province, on February 16.